Ties have been a staple in the fashionable gentleman’s wardrobe for the longest time. This classy and stylish accessory is here to stay and is going nowhere anytime soon. Ties are now available is virtually every style, material, design, or pattern you can think of. As a result of this, styling shirts with patterned ties has posed problems for men all around the globe. Luckily, plain ties are here to help out every man. Plain ties are the best thing since sliced bread, and they present wearers with so many options. They exist in an endless sea of colors, and you can always pick whichever one suits your style here. Keep reading to discover different styling tips for different colors of plain ties. White and pastel ties: These are ties that are on the extremely light and soft color spectrum. To get the most out of these ties, it’s best to style them with a dark shirt in the same color family. Pastel colors include lavender, aqua, pink, sky blue, and mint green. 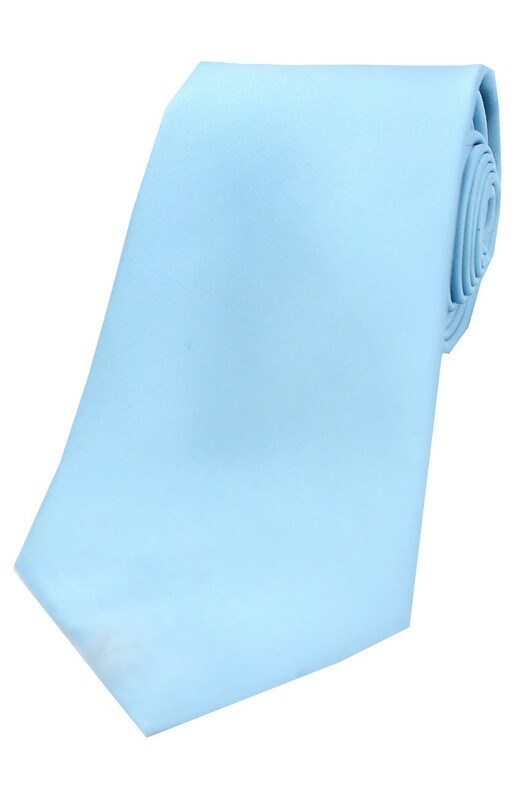 For instance, you could pair this Sky Blue Satin Silk Tie with a navy blue plaid shirt. Ties of the blue and green spectrum: The colors blue and green have a virtually endless number of variants including turquoise and teal. They should be paired with white and red or purple striped shirts. 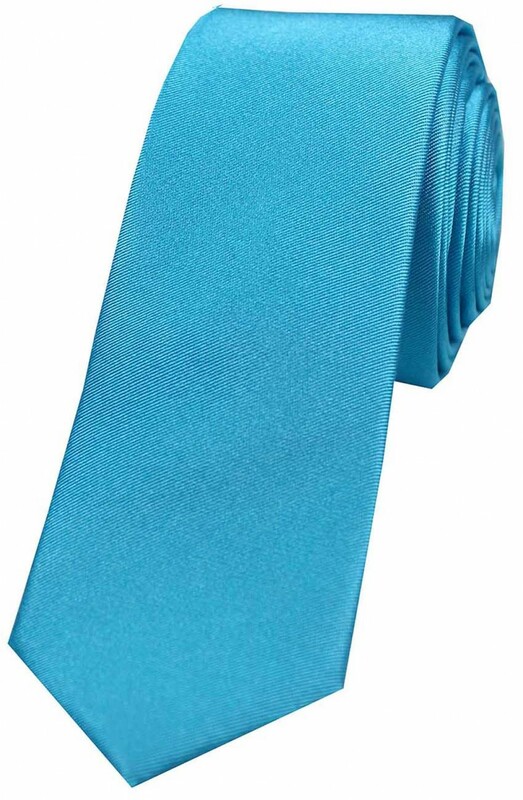 This Turquoise Satin Silk Tie would look great in such a combo. Peach, Ivory, and Gold Ties: These ties do not exactly belong to a primary color family, and they are exquisite and exotic colors. 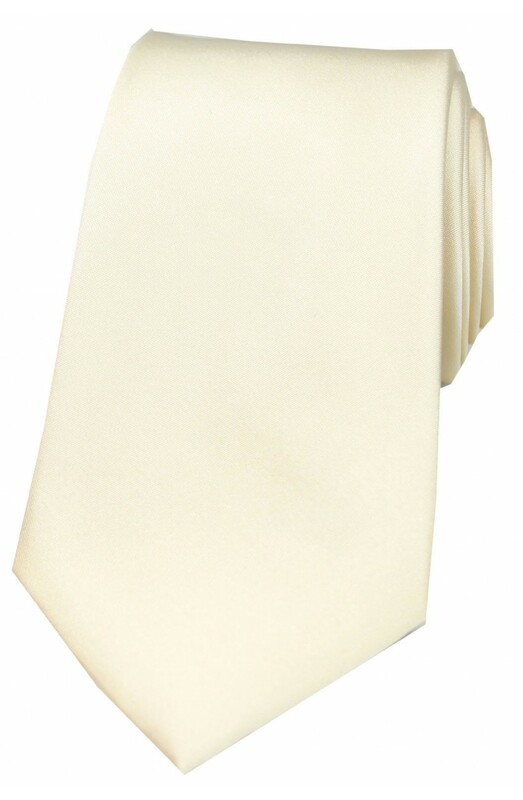 If you have plaid or floral shirts in your wardrobe, then this Satin Ivory Silk Tie is the perfect companion for them. Plain ties are the perfect go-to option for when you don’t want to take risks with pattern on pattern, or when you’re not in the mood for patterns. You can always wear plain ties with plain shirts, but remember that your ties and shirts should never be of the same color.